These days everyone knows that one of the best ways to prevent skin cancer and the signs of aging (fine lines & wrinkles) is to wear sunscreen. Your daily moisturizer should have an SPF 30 in it, and you should always wear sunscreen when outside for long periods of time. An SPF 30 is fine (anything above a 30 is not really necessary), but the most important thing is to put it on thick (about 2 tbsp for your body and 1 tsp for your face) & to reapply after swimming or after about 2-3 hours. What you may not know is that the sunscreen you buy every season may be doing more harm than good. Recent research has shown that certain vitamins & chemicals (ex. Vitamin A & oxybenzone) in common sunscreens & lotions can actually cause skin tumors & lesions, and release free radicals, which essentially causes damage to your cells. Don’t worry, there are safe sunscreen choices out there. 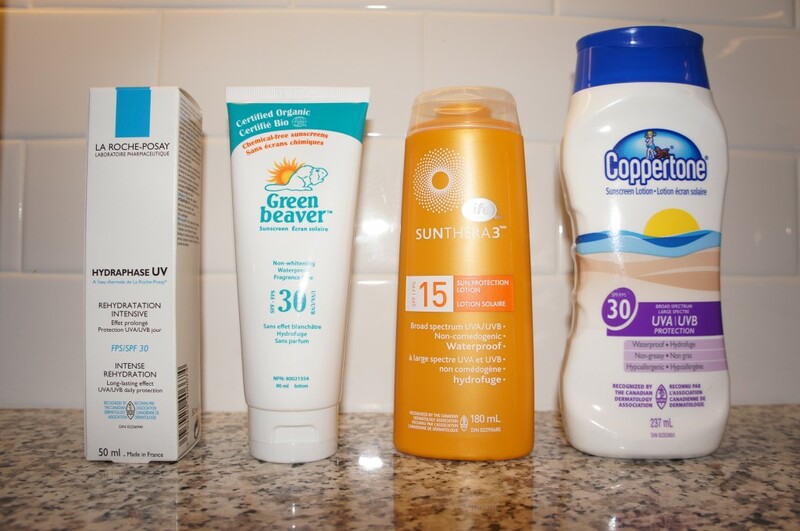 The Environmental Working Group has an excellent website with tons of information, a list of the best sunscreens and a rating system where you can type in the sunscreen you currently use and see how it’s rated. Check out the site, and make sure you’re doing everything you can to prevent skin cancer & damage and premature aging. Great post Lauren! I’ve always wondered if I was doing more hard than good by wearing sunscreen. I’ve already reviewed the safe sunscreen list and will be purchasing a safe sun lotion. Bye-bye Hawaiian Tropic! Awesome! Now you can really enjoy the sun and know that you’re fully protected. I just bought all my sunscreen yesterday (I made sure they didn’t include any harmful ingredients), so I’ll post my list tomorrow.